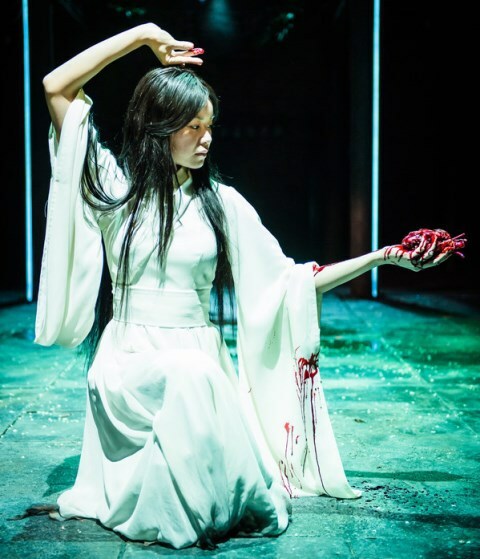 Combining a supernatural thriller with a murder mystery, the ancient Chinese story of Snow In Midsummer has been given a 21st Century makeover for the Royal Shakespeare Company (RSC). Performed at the Swan Theatre in Stratford upon Avon, it's the first production for the RSC's Chinese Translations Project - a cultural exchange bringing Chinese classics to a modern western audience. Playwright Frances Ya-Chu Cowhig has worked with director Justin Audibert (who was behind the RSC's The Jew of Malta in 2015) to retell this old fable so it is relevant to modern day audiences and also brings an essence of The Far East to the stage. Originally written during the 13th Century Yuan dynasty by Guan Hanqing, its foundations are as a Chinese opera about a wrongly executed woman who seeks justice from beyond the grave. Ya-Chu Cowhig has masterfully adapted the story to keep the social injustice theme while also adding contemporary thought-provoking issues like the morality of prisoners being used for organ donation. Class and poverty are still at the core of this drama but it has added depth in the updated characters. Handsome Zhang, an entrepreneur whose father Master Zhang was murdered, is a gay man who goes to great lengths to protect his lover. While Tianyun, a businesswoman whose adopted daughter prompts her to investigate the death, highlights the compromises that women must sometimes make to have a successful career. Then there are the comedic antics on the sidelines by the likeable officers, who are more worried about online dating and selfies than what's happening in the prison. 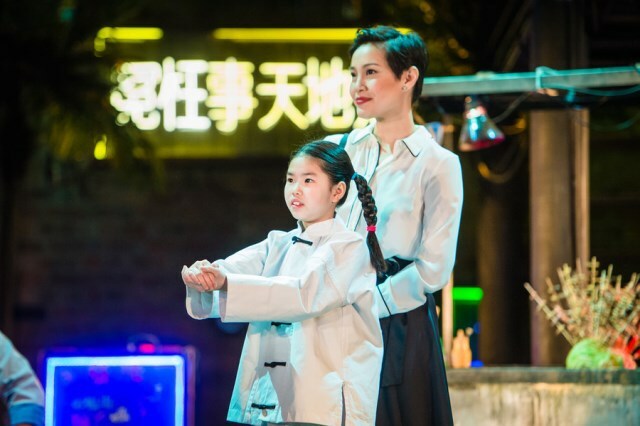 The storyline revolves around a family who arrive at a town three years after a girl called Dou Yi was executed for killing a leading businessman. Since the execution, the town has suffered strange unexplained conditions like a snow storm at the height of summer and a three year drought, both of which Dou Yi had threatened before her death, claiming she was framed for a crime she did not commit. The tension slowly builds during Snow In Midsummer as the mystery deepens until a finale takes the audience back in time to reveal all. Fascinating and emotional, it has all the ingredients of a classic mythological tragedy with an avenging ghost, unsolved crime and hidden secrets at the heart of a community. While the set brings modern day China to life. It is aglow with neon signs and a temple where offerings are made to the ghost. There's even a stall with battered locust snacks for sale. There's nods to the ancient past too. The ghost of Dou Yi appears in long white traditional dress in Act Two - something that the ghost would have been clothed in during the Chinese opera that this story comes from. Then there's the constant use of masks, again a Chinese opera staple, but these are neon electronic versions to add a touch of modernity. 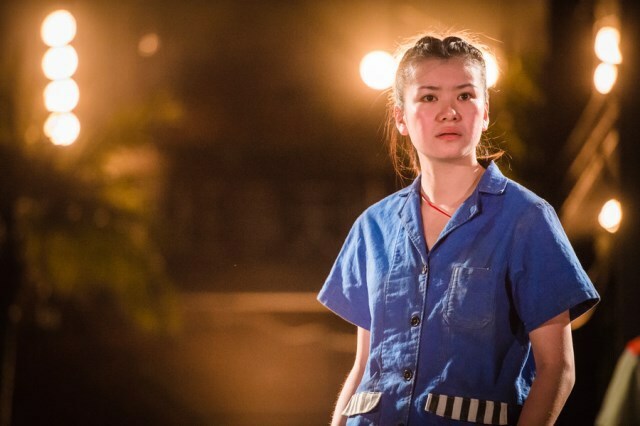 Playing the role of Dou Yi is Scottish actress Katie Leung, who was honoured with the BAFTA Breakthrough Brit prize. She is a well known face was playing Cho Chang in the Harry Potter film series but has theatre credits now including the role of Jung Chang in The Young Vic stage version of Wild Swans. 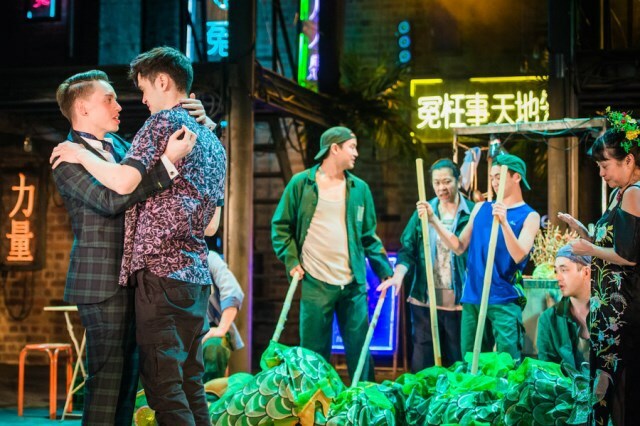 Leung gives an emotive performance while Colin Ryan also packs a punch as Handsome Zhang. 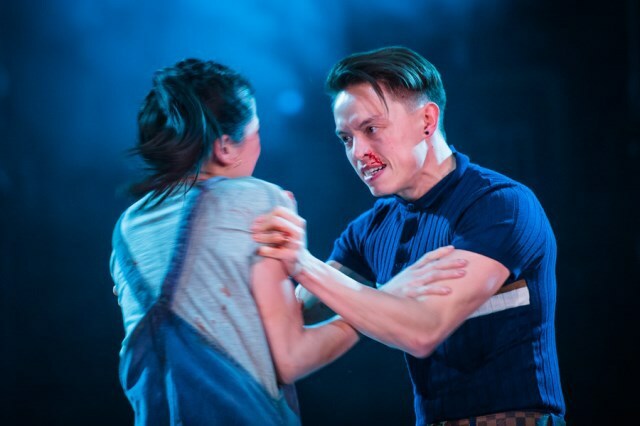 Ryan has been in many RSC productions in recent years from the Jew Of Malta to Volpone and Wendy & Peter Pan and is working up quite a striking portfolio of performances. Both of these are relative newcomers but on the more experienced side there is Jacqueline Chan, who is enthralling and attention grabbing as the all-knowing Mother Cai, despite only one brief scene. Director Audibert keeps the pace swift and saves the gore for when it has most effect. He's not shy about using a little blood and it makes a real impact, especially in the execution scene. What you end up with is a dramatic, hugely watchable tale that transcends cultures. It's a strong start to the RSC's Chinese Translations Project that leaves you excited for more. To book tickets call 01789 403493 or visit the RSC website.